With grain providing much of the calories that sustain humanity, the status of the world grain harvest is a good indicator of the adequacy of the food supply. More than 2 billion tons of grain are produced each year worldwide, nearly half of it in just three countries: China, the United States, and India. Corn, wheat, and rice account for most of the world’s grain harvest. Whereas rice and most wheat are consumed directly as food, corn is largely used for livestock and poultry feed, and for industrial purposes. Global grain consumption has exceeded production in 8 of the last 14 years, leading to a drawdown in reserves. Population growth is the oldest source of increasing grain demand. In recent years, the annual growth in grain use has doubled, largely a result of increased use for fuel ethanol and livestock and poultry feed. 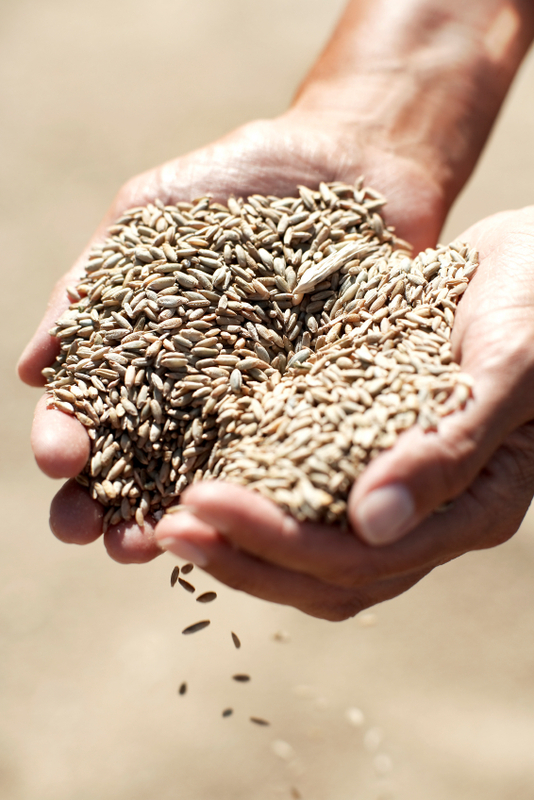 In 2013, the United States harvested more than 400 million tons of grain. Of this, 129 million tons (30 percent) went to ethanol distilleries. Rising yields are the key to expanding the grain harvest as there is little unused cropland. Since 1950, over 93 percent of world grain harvest growth has come from raising yields. The global grain area planted per person has shrunk from about half an acre (0.2 hectares) in 1950 to a quarter acre (0.1 hectares) in 2013. At 10 tons per hectare, U.S. corn yields are the highest of any major grain anywhere. In Iowa, some counties harvest up to 13 tons per hectare. Global average grain yields more than tripled from 1.1 tons per hectare in 1950 to 3.5 tons per hectare in 2013. However, yield growth has slowed from 2.2 percent a year between 1950 and 1990 to 1.4 percent in the years since. In France, Germany, and the United Kingdom, wheat yields have been flat for more than a decade. The story is similar for rice in Japan and South Korea. World fertilizer use climbed from 14 million tons in 1950 to 181 million tons in 2013. But in many countries, fertilizer use has reached diminishing returns. Since 2007, the world has experienced three major grain price spikes. The U.N. Food Price Index indicates that grain in 2014 was twice as expensive as in 2002–04. Rising global temperatures threaten the world’s major food crops; the “rule of thumb” is that each 1-degree-Celsius rise in temperature (1.8 degrees Fahrenheit) above the growing season optimum can cut productivity by at least 10 percent.